Come dressed up for the ABBA time of your life with Meryl Streep, Pierce Brosnan, Amanda Seyfried and Colin Firth. Words on the screen as if you needed them. 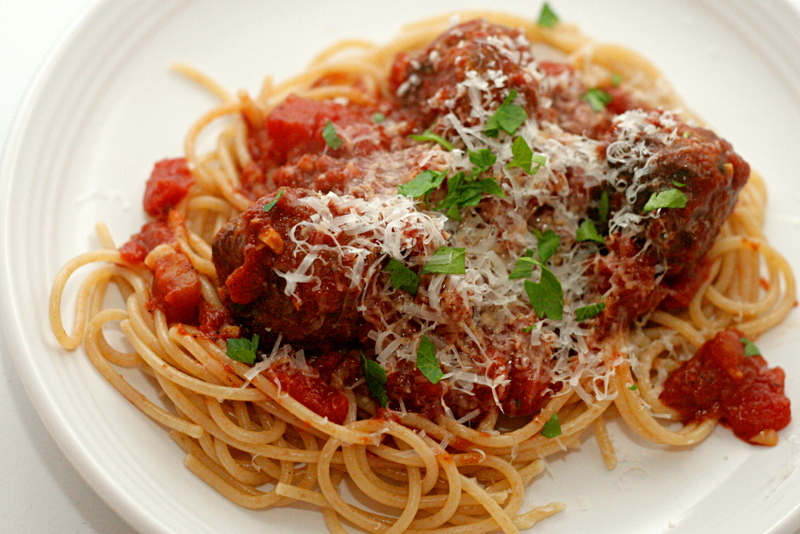 The Oakland Magic Circle, the oldest magic club West of the Mississippi, (established in 1925), hosts their annual Inter-Club Stage Competition and Spaghetti Dinner (includes salad, rolls, pasta, pasta with choice of sauces, a chocolate dipped cookie, and soft drink). See the TOP TALENTED MAGICIANS from the local Bay Area magic clubs compete for a cash prize, engraved trophy and bragging rights. Tuesday, September 1 at Bjornson Hall in Oakland. For details and tickets (advance purchase required for dinner), click here. A benefit the Oakland Fund for the Arts and its programs for youth to create performance and visual arts. While you enjoy a late summer evening on the water’s edge, listening to live jazz, sipping wine & noshing on passed appetizers, there will be a silent auction to check out. 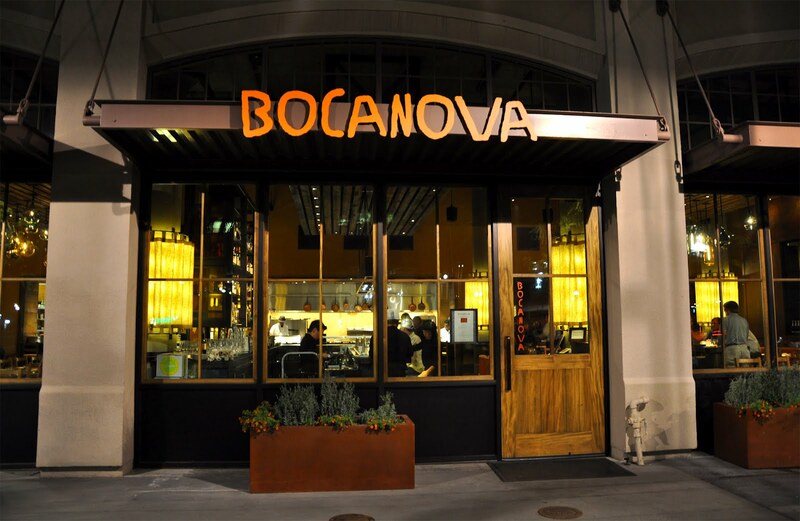 The evening continues in Bocanova’s dining room with a deliciously hand-crafted family-style dinner, accompanied by a stellar array of outstanding wines generously donated by Stage Left Cellars, Tatedog and Wanless, JC Cellars and Skylark Wines. 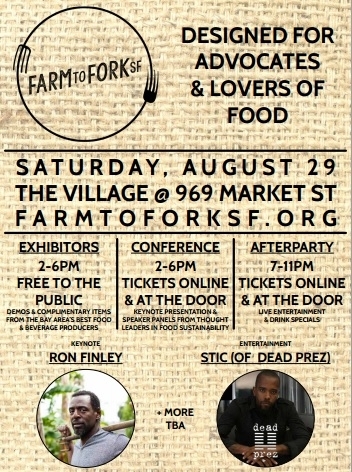 The mission of Farm To Fork SF is to gather advocates and lovers of food, raise awareness around sustainability issues, and showcase the best farms, artisan food producers, breweries, cideries, distilleries and wineries in the Bay Area. This day, from 2-6pm will have inspiring speakers, complimentary food and beverage plus performances. And join Erykah Badu at the After Party. Camp Reel Stories believes that when women and girls are better represented behind the scenes in the media, they will be better reflected on the screen. Camp Reel Stories is a non-profit organization that empowers 13-18 year old young women with the skills to create their own media, to view current media critically and thoughtfully, and to aspire to leadership in their field. 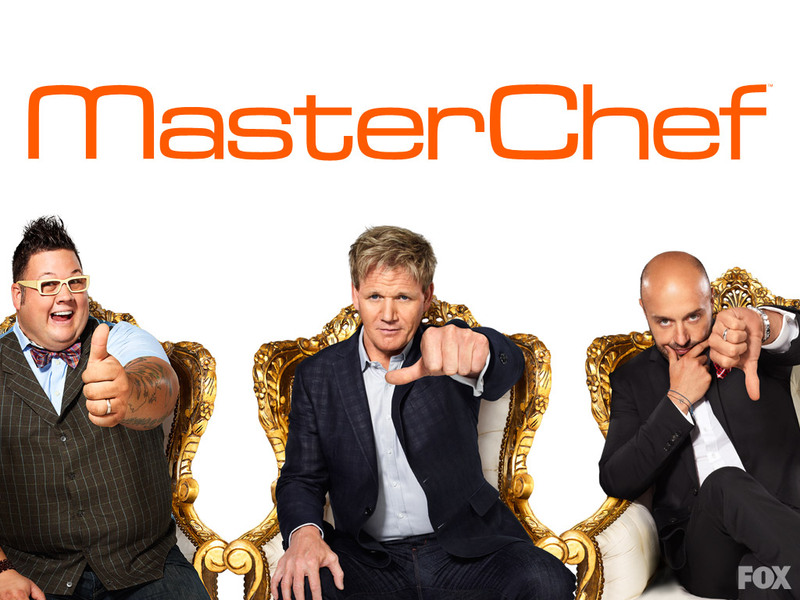 The TV series MasterChef is gearing up for Season 7 is coming to to San Francisco They are on the search for unique people with interesting jobs, hobbies and backstories who’ve Never Worked as a Professional Chef BUT LOVE TO COOK! 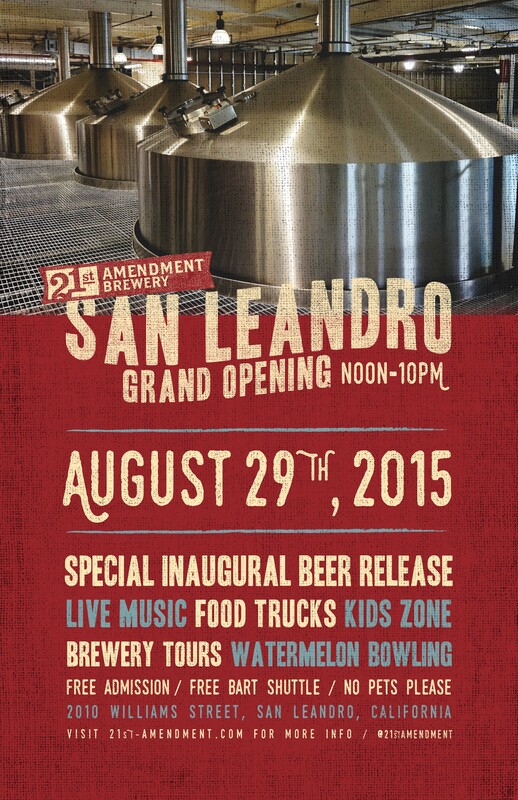 21st Amendment has opened a new brewery and tasting room in San Leandro and you’re invited to the Grand Opening Party introducing 21A’s newest concoction: the Toaster Pastry Indian red ale and more plus featuring live music featuring WJM, D.R. & the Blazers, The Dirty and The Sam Chase & The Untraditional, food trucks, brewery tours, and watermelon bowling. 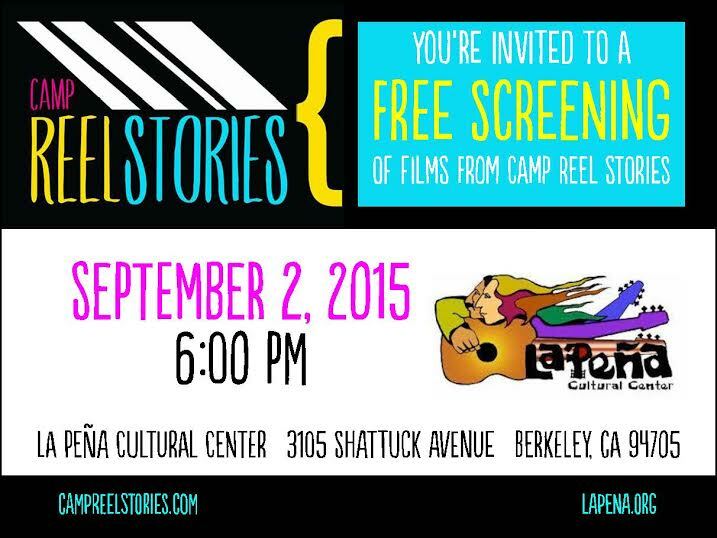 Admission is free, and there will be a complimentary shuttle to and from the San Leandro BART. Saturday, August 29, 2015 – Noon to 10 PM. The SF Mess Hall Project brings together three essential elements of the vibrant local community- food, music and craft beer. Enjoy a Sunday afternoon sharing smiles and supporting home-grown artists, chefs and the San Francisco Rock Project- a charity organization cultivating musical talent in inspiring youth. Check out a large variety of fun California cuisine from some of the hottest up-and coming bay area chefs. Wash down the delicious fare with a few fresh artisanal ales sent directly by independent breweries. A fantastic line up of emerging SF musicians will close out the evening with several hours of live entertainment.